A Coffee Machine That Works In Space! There are some things it's easier to get in space — a glimpse of the ring nebula, for instance — and some things that are much harder... like a cup of coffee. 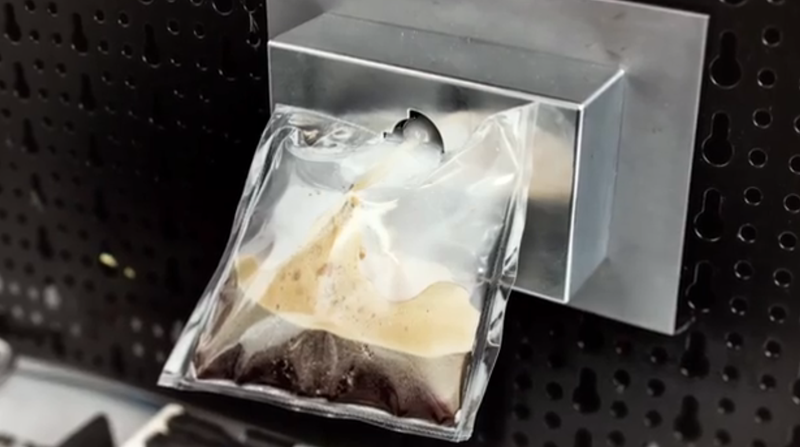 This new coffee-machine, set to make the trip to the ISS, is going to make it much easier. Coffee-maker Lavazza and Argotec designed the protoype machine, which features steel piping capable of withstanding 400 bar of pressure and weighs just under 45 pounds. The Italian Space Agency has announced plans to take it with them up to the ISS. Making coffee in space is interesting as a technical challenge, but it's also interesting as part of another trend: Making space more comfortable. Whether it's suits that are little less bulky, the chance to get some homegrown vegetables high above the Earth's atmosphere, or just a nicely-brewed cup of coffee, more research is focused on the idea of making space not only survivable, but livable. And these seem like important steps towards not just longer journeys in space, but also to opening up space travel to a much larger portion of the population. What do you think? Tell us in the comments about the one or two comforts of home that you would most want to bring into space with you if you were to venture out into the galaxy.